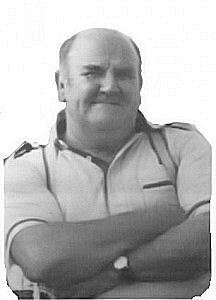 Billy Beattie was a founding member of Kildare IWAI way back in 1984. 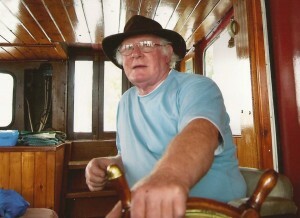 His love of the inland waterways saw him cruise the Shannon, the Barrow and the Canals for almost half a century where he became well known for his colourful personality and was christened “Billy Bee”. Billy had many boats but his pride was Sylvette which he shared with Dr Maurice Davin-Power. Excerpt from Sylvette: the Shannon Tour of 1971 by Maurice Davin-Power. “All is not well. There is an air of dumb insubordination amongst the crew. Their work was done in a patchy manner with sullen faces. Muttering in corners was observed by one officer. The Captain and Mate, having urgent business to discuss, proceeded to the Athlunkard Bar. Here they were delayed by sundry matters and on their return at 23.50 hrs, the crew had abandoned ship! Desertion was feared, but they returned at 03.00 hrs again the worst for drink! Action was not taken, least they be driven beserk, but it was noted in the log. All in all it was a night of fear.” Next day at 11.00hrs “A hang-dog crew, conscious of their guilt, went about their work in a tolerable fashion”. Any time you pulled into a harbour and saw Blackthorn moored up you were assured of an evening of music and craic at the hands of Mick and Fran. 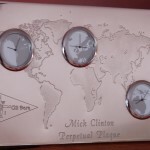 As a tribute to Mick, Kildare IWAI inaugurated the Mick Clinton Perpetual Plaque – an award for outstanding contribution to the IWAI. 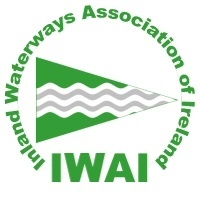 Bob Sharpe was one of the original founders of Kildare IWAI. 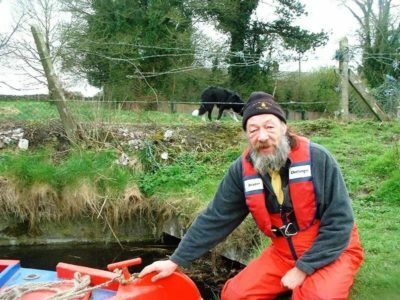 He was an extremely energetic and persuasive man who played a significant part in protecting the heritage of our canals in Kildare. He was President of the IWAI and Chair of Kildare IWAI. Such was his hard work that he was made Honorary President of Kildare IWAI. 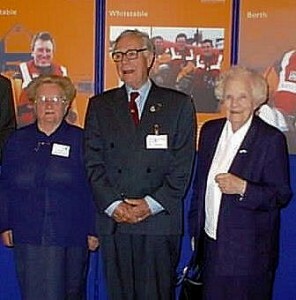 In May 2001 at the Barbican Centre, London, the Duke of Kent presented Bob Sharpe with the prestigious RNLI Gold Medal Award. He was chairman of the Kildare Branch of the RNLI and up to the day of his passing, he was selling pins and raising money for this worthy cause. 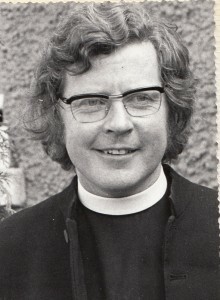 Father PJ Murphy (1935-1975) encouraged people in the local community to put effort into restoring the old Robertstown Grand Hotel as a canal museum and community centre and organised a very successful series of annual period banquets and canal festivals. Ruth Delany in ‘The Grand Canal of Ireland’ states: “There was considerable focus on the canal at nearby Robertstown and in 1974 the old 19th lock on the Barrow Line was reopened, making a convenient round trip for passengers on the Roberstown canal boat, up the Milltown feeder through the old 19th lock (Ballyteague) and back along the Barrow Line to Lowtown. The tragic death of the prime mover in all these activities, Father PJ Murphy, in a car accident on 8 November 1975, cast a great shadow over these efforts. ‘Robertstown has lost a revered pastor and inspired community leader’. The photographs from this era, some seen in our Waterways Gallery – Robertstown Canal Festas 1965-1975, give an indication of the success of these events.